Even though I have been into Korean skincare for over three years now, my tastes haven’t really matured. I’m still in the mindset of: If it comes in cute packaging, I want it. Speaking of which, did you see that lip gloss made of kitten milk? If it wasn’t £35 to ship it to the UK I would be ON IT faster than Usain Bolt. 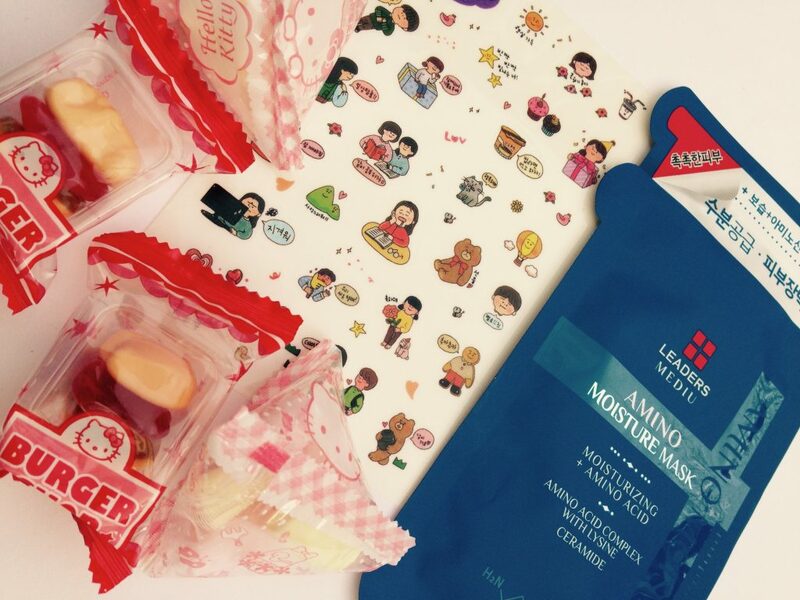 But I did manage to score some more affordable Korean skincare treats. So meet Beautius, my new supplier of Korean sheet masks. 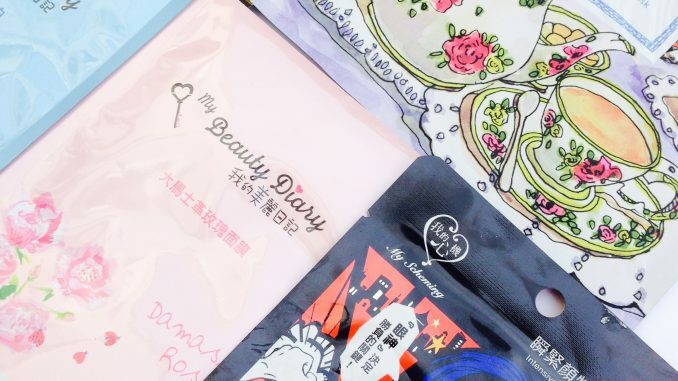 This Hong Kong-based site stocks a variety of popular beauty brands from Japan, Korea and Taiwan, and randomly, some plushie toys too. 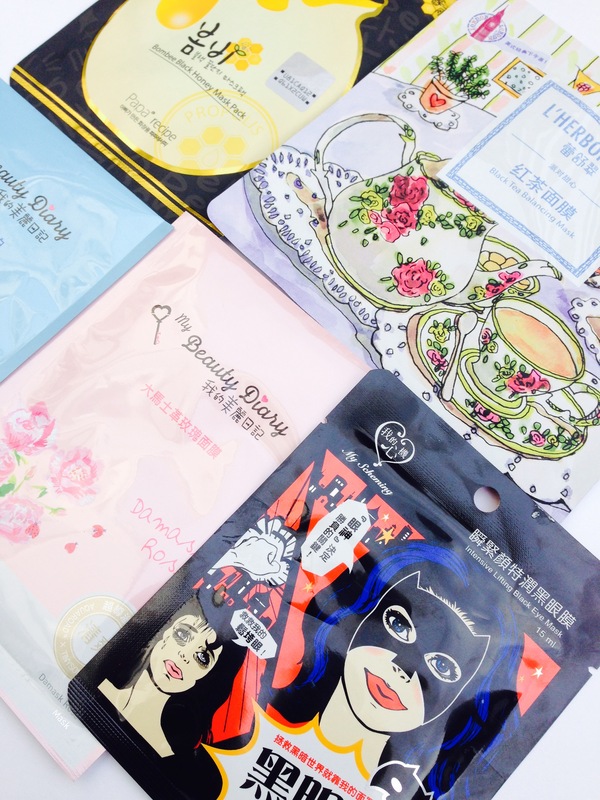 The good thing about Beautius is that you can buy single sheet masks, rather than having to stump up for a box of 10 in one go. So you can use it to try out new stuff or just amass a nice pick and mix collection. As you can see, I went with whatever had cutest packaging. Gotta have a system, right? One thing that Beautius is rapidly getting a name for is their generous and fun approach to freebies. Look what they sent with my order – an extra mask, some stickers and some Hello Kitty candies. You’d never get that from Sephora. In addition to this, there was a nice, personalised note included, plus they sent me a code for 10% off my next order. 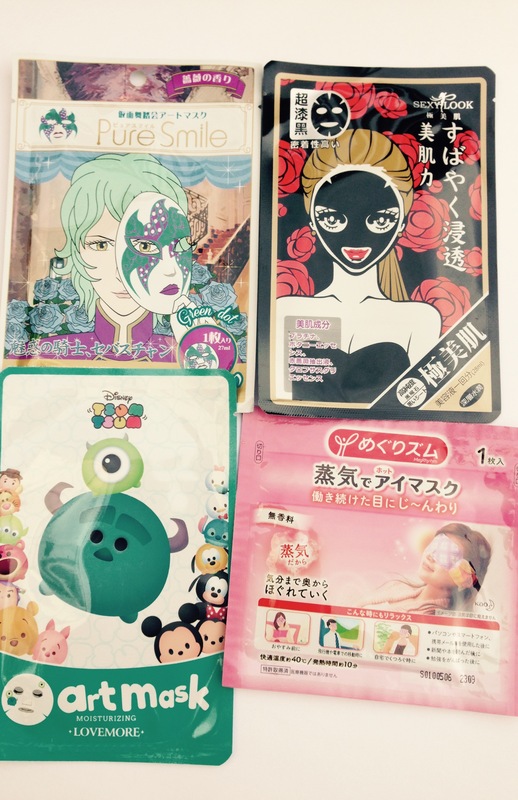 You pretty much always get extra bits when you buy from online Korean beauty shops – why do other retailers not pick up on that? It gives me all the warm and fuzzy feelings and makes me want to tell you about it. 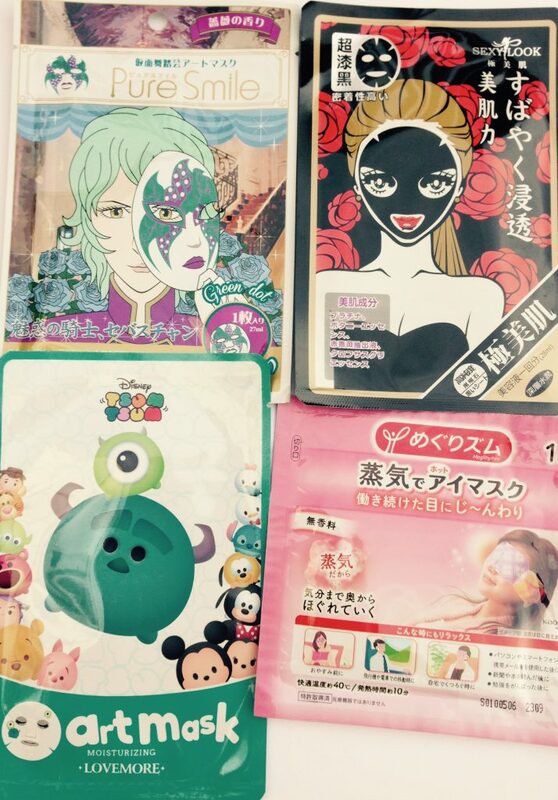 I bought these Korean sheet masks from Beautius. Most of them were around the $2 mark. Beautius offers free shipping for orders over $45 – less than that, the shipping is $2.99. They ship internationally, and my order took around 10 days to arrive in the UK.